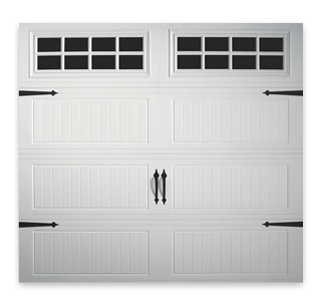 Installation and Repair of Garage Doors in St. Louis, Chesterfield, St. Charles, MO, and Surrounding Areas. 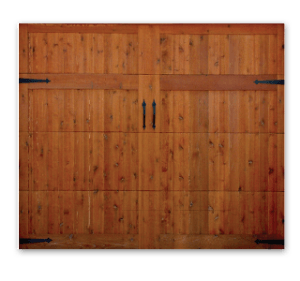 Here at CGX Overhead Doors in St. Louis we don’t cut corners on quality so we have picked out the finest garage doors on the market with lifetime warranties. These garage doors come standard with high quality nylon roller steel stiles in all door for extra strength. These steel skin doors are manufactured with a thicker gauge steel skin and track. Please give us a call today and set up a no obligation free quote. Door Link 410 is a premium quality non-insulated residential garage door. Available with windows or without. Door Link 411 is a premium quality vinyl back insulated door. Available with windows or without. Door Link 3610 is a premium quality steel sandwich door with injected foam for extra strength and insulation. Available with windows or without. 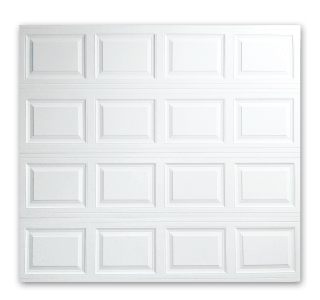 Door Link 490 is a premium quality non-insulated residential garage door. Available with windows or without. Door Link 491 is a premium quality vinyl back insulated door. Available with windows or without. Door Link 3690 is a premium quality steel sandwich door with injected foam for extra strength and insulation. Available with windows or without. Door Link 440 is a premium quality non-insulated residential garage door, includes outside decretive hardware. Available with windows or without. Door Link 441 is a premium quality vinyl back insulated door, includes outside decretive hardware. Available with windows or without. Door Link 3640 is a premium quality steel sandwich door with injected foam for extra strength and insulation, includes outside decretive hardware. Available with windows or without. Door Link 430 is a premium quality non-insulated residential garage door, includes outside decretive hardware. Available with windows or without. Door Link 431 is a premium quality vinyl back insulated door, includes outside decretive hardware. Available with windows or without. Door Link 3630 is a premium quality steel sandwich door with injected foam for extra strength and insulation, includes outside decretive hardware. Available with windows or without. Door Link 3630 is also available in oak and walnut finishes. Door Link 3640 is also available in oak and walnut finishes. 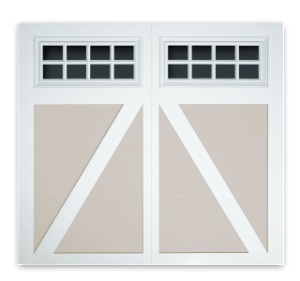 Door Link Carriage creek is a composite overlay steel back insulated door available in many custom designs. 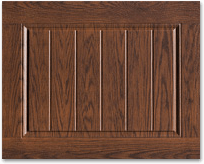 Door Link Woodland creek is a wood overlay steel back insulated door available in many custom designs. We are the leader in installation of garage door openers in St. Louis and surrounding areas. Our professionally installed garage door openers are quiet, efficient, and built to last. Contact us at 314.550.9212, today, to get a quote on a new garage door, garage door opener, or garage door service and repair in St. Louis and surrounding areas. 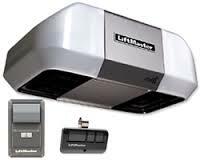 The Liftmaster 8365 garage door opener is a basic chain drive opener for most residential homes. The 8365 comes with a solid rail and chain trolley system (unlike store bought units with four piece rails and plastic trolleys), it is available with just one remote or two remotes and a keyless entry pad. It can also be programmed to your vehicle equipped with home link. 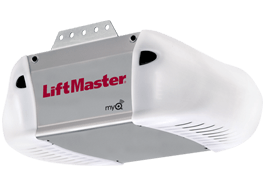 The Liftmaster 8355 garage door opener is a solid rail belt drive operator equipped with MyQ technology. the 8355 is a great fit for someone who wants a quite garage door opener that won’t break the bank. The 8355 is available with one remote installed or two remotes and a keyless entry pad. It is also compatible with vehicles 2012 and newer with home link. The Liftmaster 8550 garage door opener is a premium solid rail belt drive system with MyQ technology. it is equipped with a quieter DC motor, premium wall control and remotes. 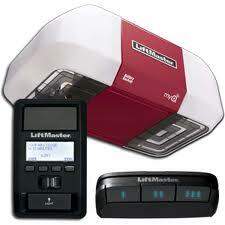 The 8550 is comes with Liftmasters battery back up system so you will never be stuck in or out of your garage. The 8550 is available with one remote or two remotes and a keyless entry pad, and is compatible with vehicles 2012 and newer with home link.